Just as an FYI Chrome is flagging your Youtube embeds as dangerous because the URLs are specifying http and not https. how do we get tank level WAILA for 1.12.2? is this also a server-side mod? 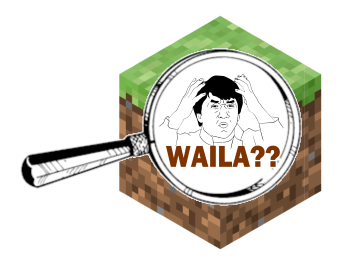 Please make 1.12.2 WAILA, I love WAILA, I love to use it, but WAILA didn't have 1.12.2, so i can't use WAILA in 1.12.2, please make 1.12.2 for us, WE LOVE WAILA !!! Any plans to update this to 1.12.2? is there a way to toggle this mod? Nevermind, downloading a different version of it fixed the issue. Always thank you for providing such good mods in Minecraft. By the way, can I upload the video via YouTube contained ADs with this mod? hwyla is what your looking for then. what is new Update?? Waila-1.7.2_1.12.2 Bugfix>?? Fixed Waila controls Keyboard CRASH! 1.7.10 Waila controls Keyboard CRASH!